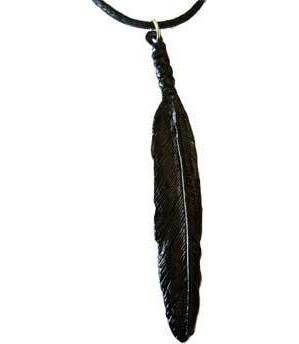 Wear or carry the energy of the crow, with this beautifully detailed black crows feather made of pewter . Comes with cord, silver toned pewter. 1 3/4" x 1". Made in USA.